LARGE NEW COUNTY LOTS READY FOR YOUR NEW HOME!! Modulars, Doublewides and stick built allowed,CLOSE TO VIRGINIA! Developer Close-out! Gates County Senior High High School / Public 6 4.22 mi. Buckland Elementary * Pre-School, Elementary School / Public 6 3.12 mi. Gatesville Elementary * Pre-School, Elementary School / Public 5 6.59 mi. Pioneer Elementary * Pre-School, Elementary School / Public 7 12.74 mi. T S Cooper Elementary * Elementary School / Public 6 8.8 mi. Central Middle * Middle School / Public 4 4.75 mi. The approximate monthly principal & interest payment for this property would be $135.11. This payment is based on a 30-year loan at a fixed rate of 4.000 % - APR 4.081 % with a down payment of $1,475. Actual lender interest rates and loan programs may vary. Loans with lower down payments are available. 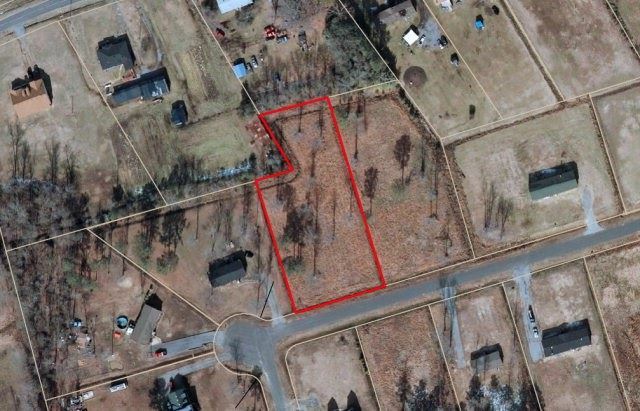 72 Louise Street, Gates, NC 27937 lots and land offered for sale at $29,500.